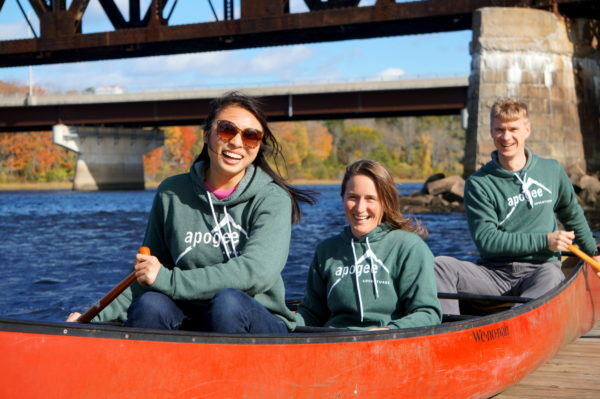 Holiday Hoodies are baaaaack! We imagine that your holiday season was all-too cold and bare last year without our annual Holiday Hoodie sale. Indeed, you may find yourself looking ahead on your calendar thinking, how ever can I go through such a dreary winter again? Fear not! This holiday season will be filled with style, warmth, and good cheer — our much anticipated Holiday Hoodie sale is back! This year’s Holiday Hoodie is the very same one issued to our field staff in advance of the 2018 summer season. Our hoodies are extra cozy-comfy, stylish, and practical too! 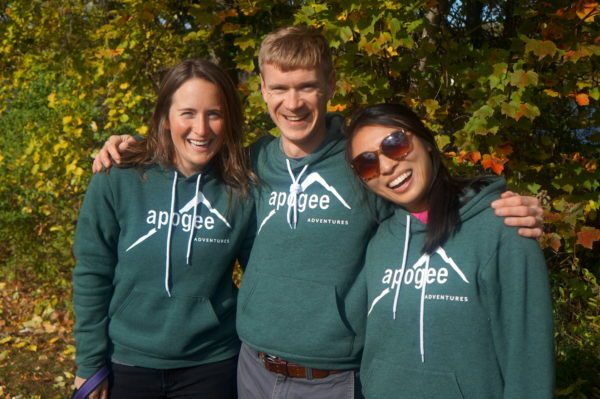 Our summer staff love the heathered forest green with Apogee’s logo in a classic white. We’re confident your child – or the whole family – will feel similarly. Make our hoodie the go-to item in your wardrobe! Hoodies are available for $50, shipping included. Sizes run from XS – XL. Note that the hoodies are unisex. We’ll be placing two orders this year. In order to have your hoodie sitting by the fire in time for Hanukkah, please place your order no later than Sunday November 11. If you’d like your hoodie in time to take up all the room in the stockings on Christmas, place your order no later than Sunday, December 2. 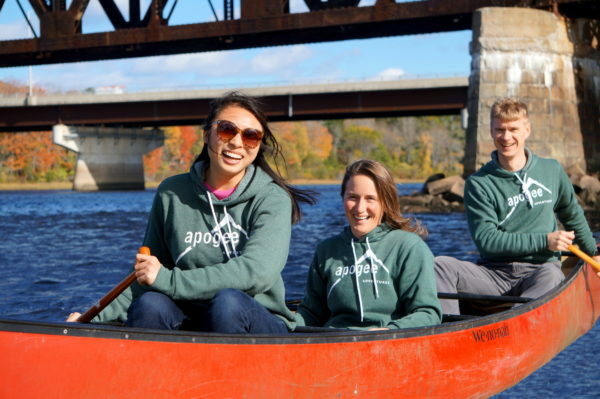 All orders should be placed through our Gear Store , although you are always welcome to email Chad at chad@apogeeadventures.com or call us at 207-725-7025 if you have any questions on fit, color, etc. Like Uncle Joe’s eggnog, our hoodies aren’t around for long – we only offer them once a year, so we encourage you to scoop yours up now! The real deal – no Photoshop here!